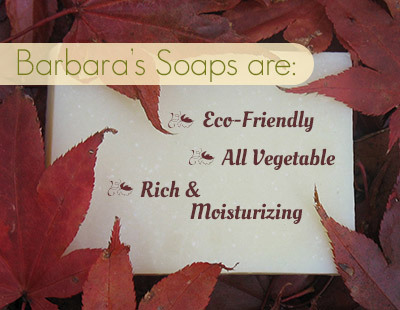 Have our soaps delivered right to you! 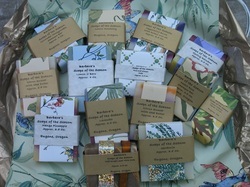 These hand made soaps are all vegetable soaps using the cold process method. The recipes use shea butter and avocado oils among others and these give my soaps an added richness and moisturizing quality. The soap I make reflects the seasons of the year in both their colors and their scents. I use traditional methods that have been around since the pioneer days and before.